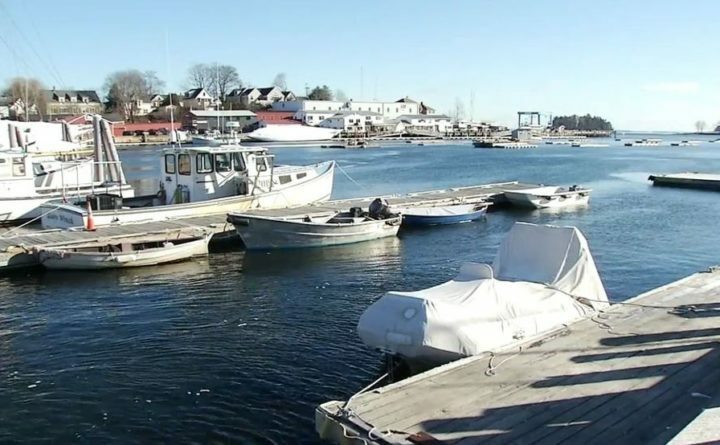 Three men pulled a man from the frigid water of Camden Harbor on Tuesday. It was just another day at work for three Prock Marine employees when they suddenly heard a cry for help in the water. They said they jumped to action without hesitation. “I’m out here shoveling and hear somebody yelling for help and I stopped shoveling because I wasn’t sure if that’s what I heard or not,” Jacob Crawford said. Crawford said a man was weakly calling from the freezing water across the harbor, stuck and unable to get out. “Got my boy Josh and another guy and we ran down into the skiff and flew over there and I see him splashing around,” Crawford said. Joshua Bechard said the man had become too weak to pull himself to the dock. He acted quickly to get the man out. “Jumped down by the guy and his arm was caught in the dock, so I got his arm out and then held on to the dock and pulled him up on the dock,” Bechard said. When they pulled him out of the water, they said he was in bad shape. The man was taken inside a building by the dock to get warm and then the Camden Fire Department took him to the hospital. Bechard and Crawford said they’ve never seen anything like this. “Just two guys falling off the barge every now and then, but they usually just go to the ladder and get back up. Nothing like that,” Bechard said. They said the story has now become the talk around town, but they called it no big deal, and that they would want the same help in that situation. “We went to the shop this morning and a couple guys said good job to me and stuff,” Bechard said.